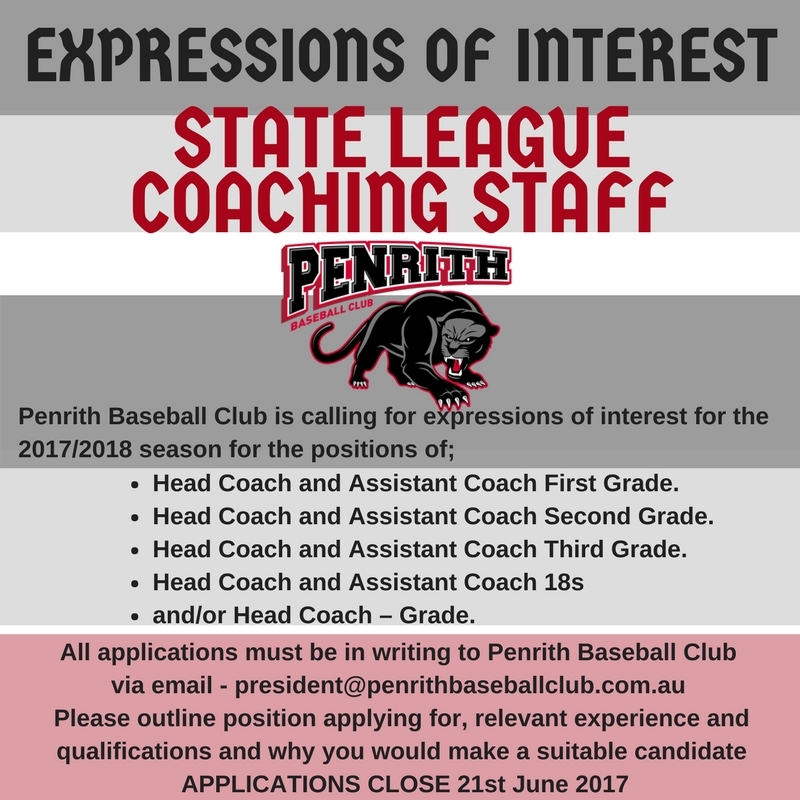 Following the success over recent years, Penrith baseball Club calls for expression of interest for State League coaches to move us into the next chapter commencing this 2017/2018 season. Applications close Wednesday 21st June 2017, all suitable candidates are encouraged to apply. No Replies to "State League Coaches"